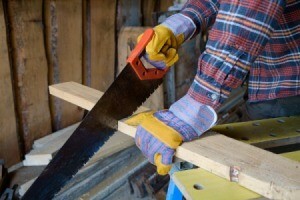 For some jobs a hand saw is the best tool to use. This is a guide about using a hand saw. A little kerosene and used crankcase oil dripped onto its blade will keep a saw from sticking and binding as you cut hedges and other sappy wood. That very old trick works too : rubbing a dry bar soap on the blade will help for any kind of wood.